Southwestern Payroll does not collect any personally identifying information without your explicit consent. We will not rent, sell, share, give away, or otherwise pass along the information you provide to us. You may remove yourself from our mailing list at any time by following the instructions found on our newsletters and communications or by emailing with the word unsubscribe or remove in the subject line or body of your email. 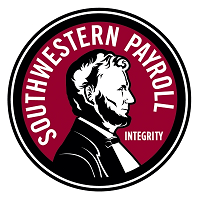 Once a customer of Southwestern Payroll, we are required to disclose certain information to government taxing and reporting authorities to properly provide our services to you. We will safeguard this information and only provide what is required.